This is a post that I have wanted to get so right, so it has ended up taken me too long to get around to doing. I mean if there was a post not to rush it’s this one. I feel like if this wasn’t used right it could cause damage, so I felt the pressure to get it right immediately. The product I’m talking about is the PMD Personal Microderm. I was kindly sent this, so thank you so much! I have been using it for a while now and I’ve fallen in love! Think of it as a professional way to exfoliate. 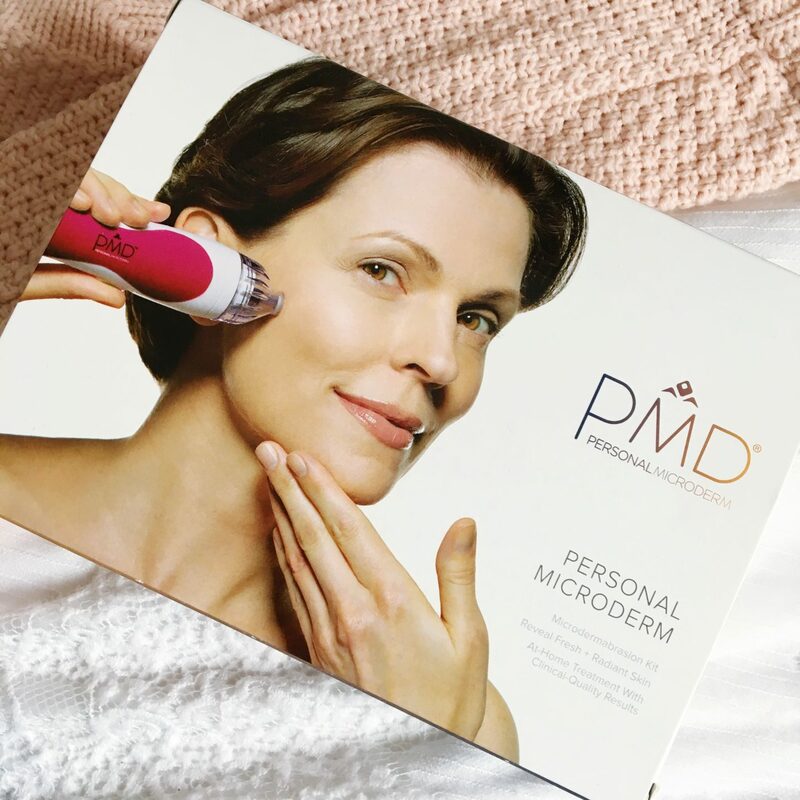 The PMD Personal Microderm uses the same Aluminium Oxide Crystals that you’ll find in professional machines, and these make up a flat, coarse disc that deeply exfoliate the skin. It does the skin a whole lot of good and you’re left looking brighter and smoother. 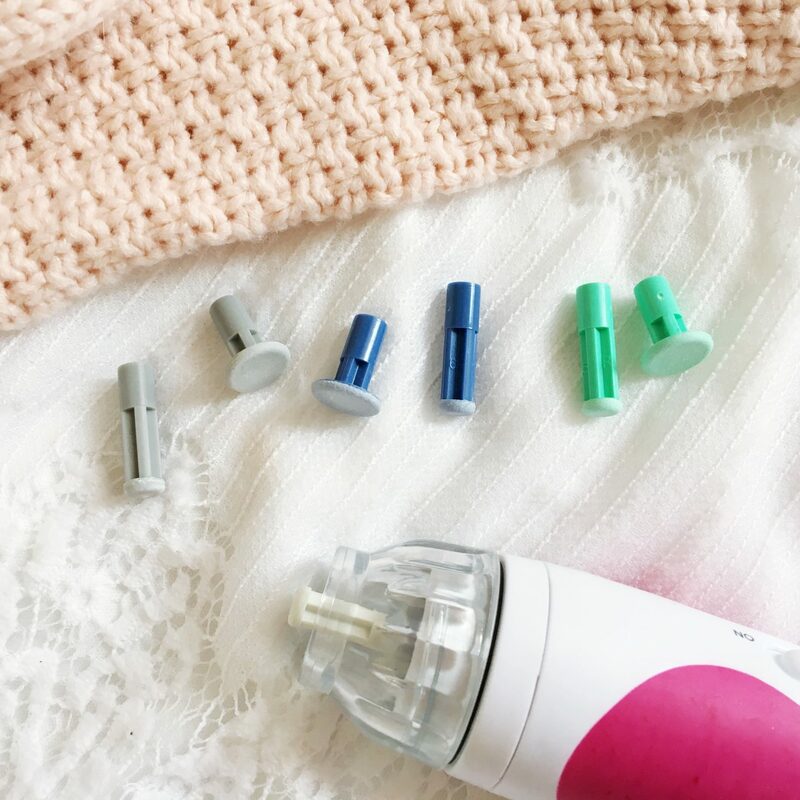 All of the dead skin cells are instantly removed by the vacuum actions, and your skin will start to stimulate cell renewal and collagen production, so you’re left with all around healthier skin! Why do I Need an at Home Kit? In my opinion it’s convenient, and you can do it when you want to. You don’t have to book an appointment and travel, as you have the machine yourself. Don’t get me the wrong this one won’t be as strong as the ones you’ll get in the spa, and you’ll need to be careful with the amount of pressure you use, but it’s not too difficult to learn. Start extremely gently and work your way up. How do I know What to Use? You will get everything you need with the kit, which includes discs of different sizes: a small one for your face and a larger one for your body. The discs are colour coded for safety, so you know what their intensity is and how abrasive it is. The white one is the gentlest, and therefore the one to start with, it’s the one I still use and it is for ultra sensitive skin. You can then move onto a grey disc, and then the blue one before moving onto the green disk. I haven’t tried the green disc yet, as I’m taking my time with this kit, as this is not something to rush your way through. You can buy two extra discs which are the strongest and these are red and black, but the black one is for the body only. It’s great that these two don’t come with the kit, as you just know someone won’t read the manual and will jump right in with the black one on the face, and that won’t end well at all. 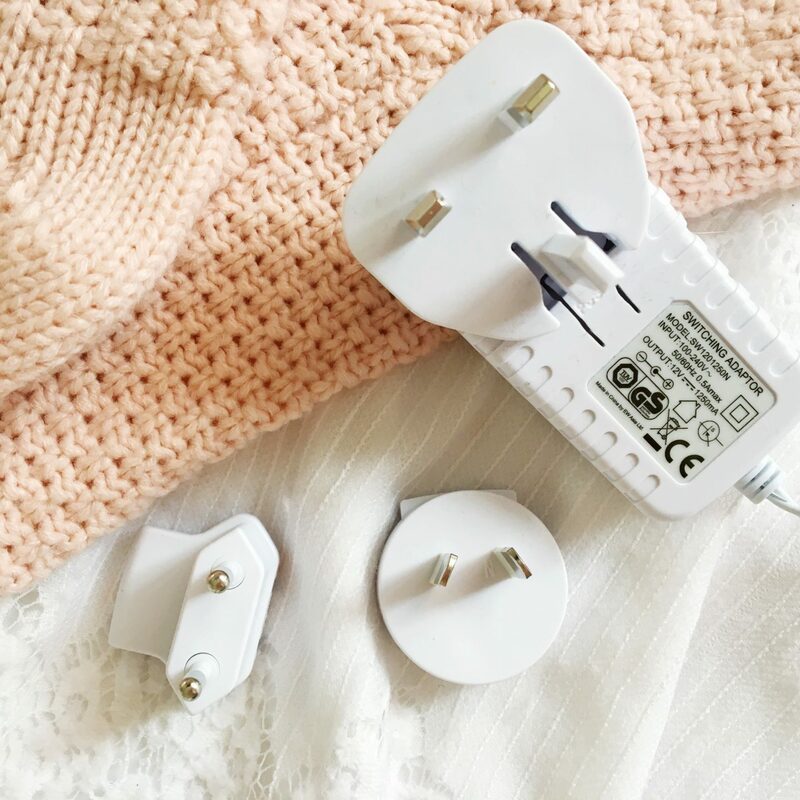 One thing that I was unsure of first, but seriously love is that it comes with different plugs, so you can travel with this and not need an adaptor. That’s All Good, but How Do I Use it? 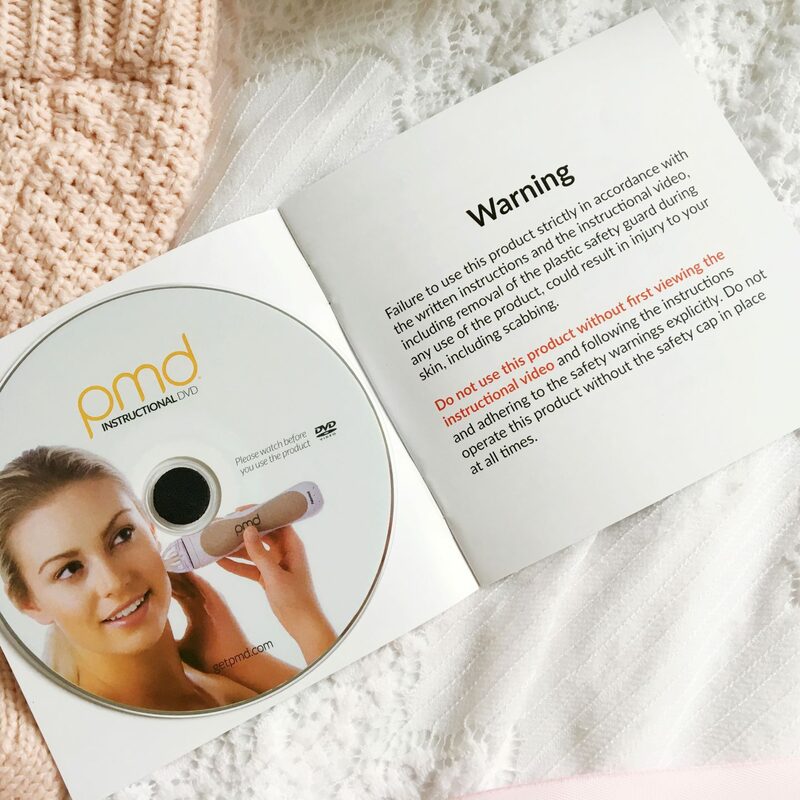 That’s it, you’re done with the PMD Personal Microderm! Clean the disk with rubbing alcohol or antibacterial soap every time, and be sure to rinse the dark filter with warm water too. It doesn’t hurt. It’s very hard to describe exactly what it feels like. Don’t get me wrong you can feel it working, but I wouldn’t say it’s uncomfortable, and I’ve been extremely careful and light handed. I’ve stuck to the white disk which is the gentlest and my skin is already smoother and so much softer. I have dry skin, so it did feel extremely tight afterwards, but it’s nothing a bit of moisturiser can’t fix. There was no irritation, and I’m starting to really see a difference. I’m not sure if I’ll try the harsher ones, as I’m liking keeping it simple, and the best thing about this is that you can go at your own pace. Overall I love how much this has helped my skin, and I love that I can do it at my own pace and on my own time. It does cost a lot of money at £135, but think about how much you’ll be saving in the long run! I can’t wait to use this in the Winter, it is going to be a real life saver! 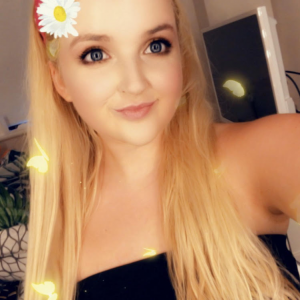 If you’d like to check it out, then you can click here! If you’d like to read more about my skincare routine, when I’m not using this. Then I have a post all about it. "50 Questions You’ve Never Been Asked"
OMG that’s so nice! I’ve always wanted my own microderm hahaha! It must be really fun to play with! 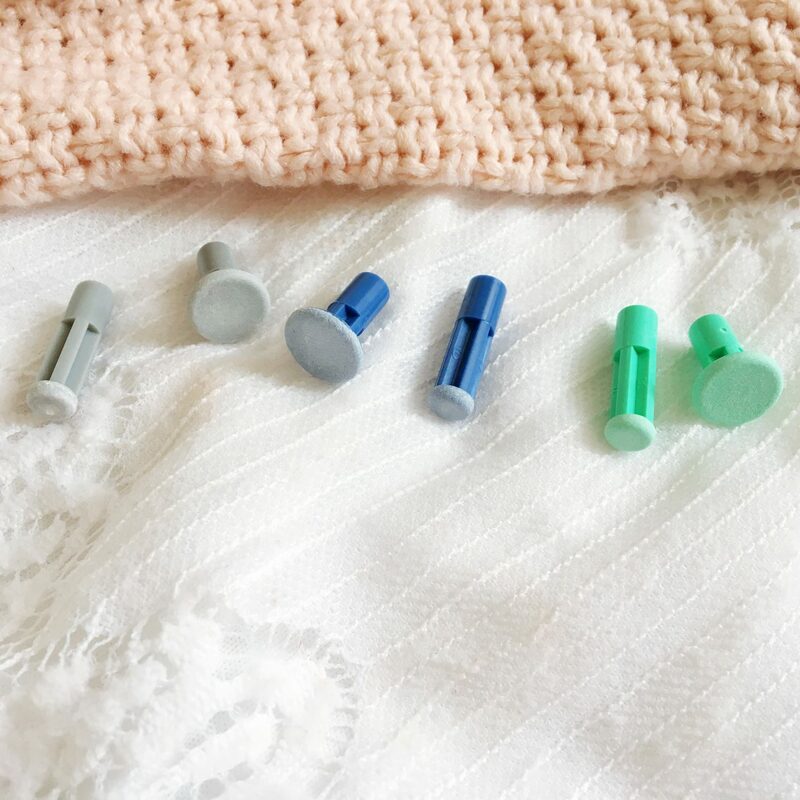 Great Post – this looks so good, something I definitely need at the moment. This sounds incredible! I suffer so badly with uneven skin tone and surface and often wonder whether microdermabrasion would help my skin and the fact you can do this at home is even better! I’d definitely love to invest in one of these if I ever have the money to, looks like a fabulous product! Sounds so amazing! I’ve been looking up this treatment but it’s so expensive so maybe this is my alternative and it’s great you can do it in the comfort of your own home! This sounds great! I like how you can choose which disks to use and how rough you want it applied to the skin. Thanks for sharing! This sounds insane!! Need to put this on the wish list. At home microdermabrasion sounds so daunting! Great review of this kit. Ooh this sounds like a different kind of beauty device, another product added onto my wishlist haha! I’ve never tried anything like this, but am glad you’re liking it and it works so well. This sounds fab and so easy to use! Your review is great, I love that you really tell us about it. I would love to try something like this. I have always had my eye on the PMD but I could never swallow the price but thanks for the very detailed review. I’m still contemplating whether to purchase it or not. Thanks for this. I have been thinking about getting myself something like this for a while. How often do you personally find yourself using it? I’m not sure I’d use it often enough to make it worth the price, but my skin has been so bad the last few weeks, that I really think I need to invest in something like this.